They seem to thrive on dead leaves as well as fresh ones. 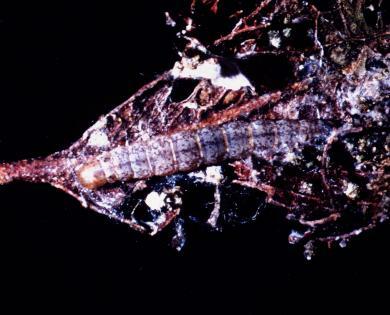 They live communally in shelters of partly eaten and dead leaves joined by silk, and partly covered in frass. The number in one shelter can vary from 2 to 35. The caterpillars grow to a length of about 2 cms. The Caterpillars pupate in their shelter, and the adults emerge in about two weeks. 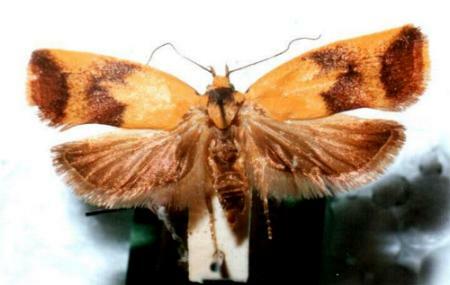 The moths have a wingspan of up to 2.5 cm. 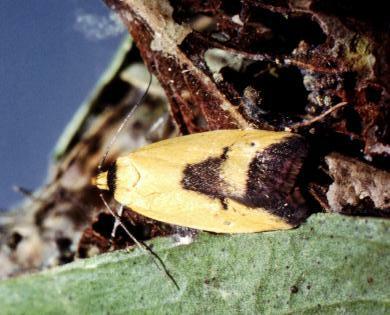 The wings are yellow with splashes of brown in the terminal area and mid-way along the hind margin. The hindwings are grey-brown. CSIRO Publishing, Melbourne 1994, pp. 34, 75-78. New South Wales University Press, Sydney 1992, p. 80. Volume 7, Part 4 (1883), pp. 475-476.